Trust Absolute Home Services with your Landscape Design & Construction! 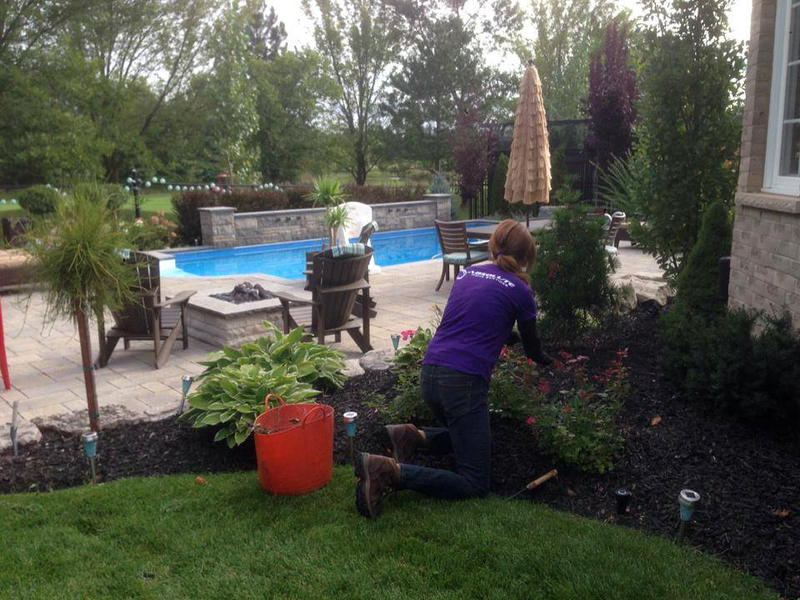 Looking for flawless landscape design and construction in Milton, Mississauga, Oakville or the surrounding area? Whether you’re needing landscape expertise for creating your interlocking driveway, putting up a retaining wall, working on sodding, tree or garden planting – Absolute Home Services offers more than 15 years of landscaping experience. Before starting your landscape design with us, a dedicated project manager will sit down and discuss your vision and style preferences with you. We’ll also present several design samples for you to consider as well as different pricing options, from there you can provide the feedback and revisions to begin the landscape design of your dreams. When it comes to skilled construction, Absolute Home Services is up-to-date on all current construction guidelines and uses only top-tier granular and concrete products to get the job done. We understand that turning your vision into reality takes comprehensive planning and carpentry skills that enhance curb appeal and visual esthetics. Our expert craftsmen in Mississauga, Milton, Oakville or Burlington are well-versed at assessing all aspects of your home before cohesively designing a natural-looking layout best suited to your property. Why Choose Our Landscaping Design? Whether you have an abundance of property to work with or a more traditional backyard – we understand the need to create fun yet functional outdoor areas. We’ll help you maximize your outdoor living area with landscape construction designs that will make your space feel larger and more enjoyable. From mulch and sodding to fences and gazebos – Absolute Home Services is passionate about designing stylish, skillfully crafted and custom manicured outdoor spaces, according to our clients’ visions. If you’re looking for superior landscape design services, our staff of landscape professionals are available in Mississauga, Milton, Oakville, Burlington and the surrounding areas. Contact us today!